To illustrate I’m starting off with a shot from a digital SLR with a four by three aspect ratio. For my output, I’ll choose a square size at 24×24. Let’s begin with the Crop and Resize mode. The Crop & Resize mode is the most useful mode in Blow Up. It will crop your image to proportionately fill the output. 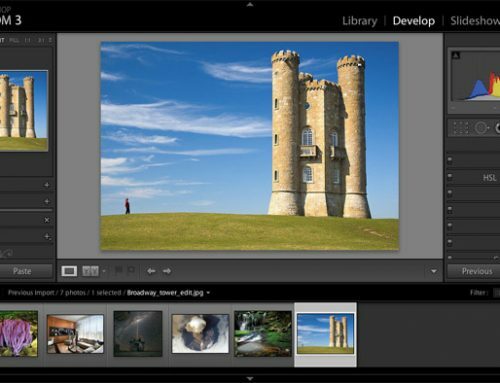 Blow Up’s Smart Crop will intelligently place the crop area over the most interesting part of your photo. You can fine-tune this crop area to your liking. Blow Up will make sure that whatever your composition, your final output size will be 24×24. If you’d rather have a center crop vs. the default smart crop, you can change this behavior in the preferences panel. It’s found under the question mark, or press ⌘K ctrl K. At the bottom of the screen, right here, you can change it to your liking. Let’s move on to the resize mode. This will resize your image proportionately, without cropping or stretching. The preset document sizes are useful for when printing on roll paper. For example, if we were printing on 24” roll this would fit the image to the roll width, allowing you to trim the height after the printing is complete. Stretch mode forces your image to fit the output size, which is usually a bad idea. It will distort your image, but in the rare case when your output size is very similar to your photo, and you want to keep all of the content in your image, this would be useful.